Set in the year 7285, archaeologist/garbologist Lucy Kimbro from the Andromeda Galaxy will lead participants along a one-mile loop in exploring sites of discarded personal human objects, including Sunshine Yellow Skinny Jeans from the first H&M in New York City and the iconic ‘Yellow Monster’ Sony walkman. 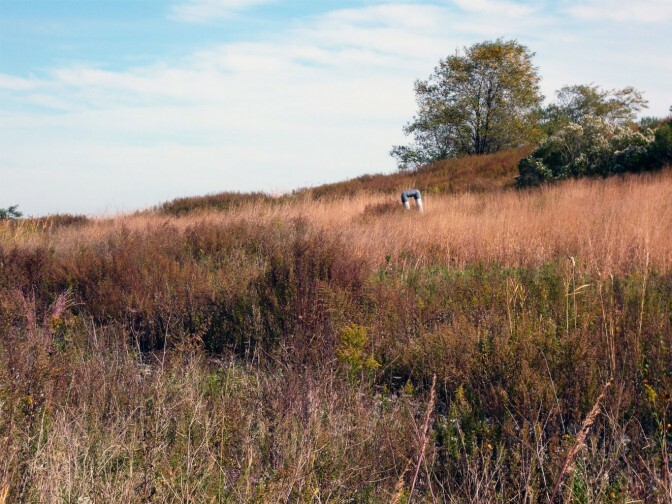 Cross-disciplinary artist Catalina Jordan Alvarez and discard studies scholar Julia Corwin have teamed up to orchestrate this interpretive walking tour at Freshkills Park. Pickup is at the Staten Island Ferry Terminal in St. George at 2:00 pm (return at 4:30 pm).